Worker fatigue can result in painful and costly accidents and downtime, whether that worker is in an automotive plant or in space. That’s why NASA and GM teamed up to create a robotic glove that will assist and augment workers’ movements. 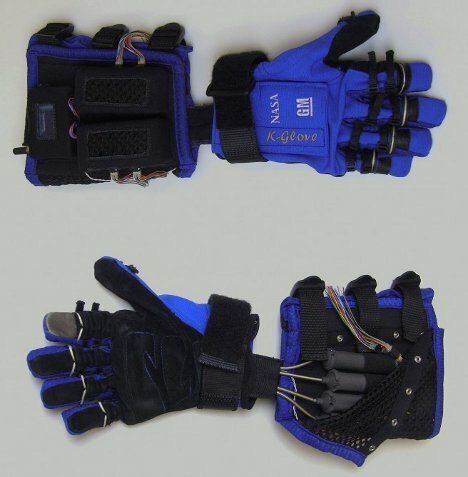 The glove, known as the Human Grasp Assist, fits over the human worker’s hand and allows that worker to grip tools for longer and with less fatigue. Because the Human Grasp Assist device reduces the amount of force required to perform actions, it cuts down on the incidence of repetitive stress injuries and allows workers to perform their tasks longer. 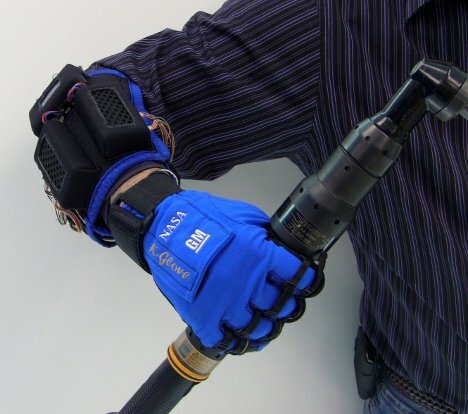 Initial tests indicate that tasks which ordinarily require 15-20 pounds of force only require five to 10 pounds of force when performed with the robotic glove. The current version of the glove weighs about two pounds, but research and development are continuing. The team working on the project is refining the components to produce a prototype that is smaller and lighter, which they hope to be able to introduce into GM’s production floor in the near future.